I am primarily interested in the interactions among soil, plants, arthropods, and vertebrates on contaminated and other ecologically “harsh” sites– sites distinguished by their xeric, nutrient-poor, and nutrient-imbalanced soils laced with elevated levels of heavy metals. Here with The Echinacea Project I am gaining more field and statistics experience, studying the ant communities on prairie remnants and the prairie preserve. I will assess ant species richness and abundance on each of these sites to examine how habitats fragmented by large-scale agriculture affect local ant populations. 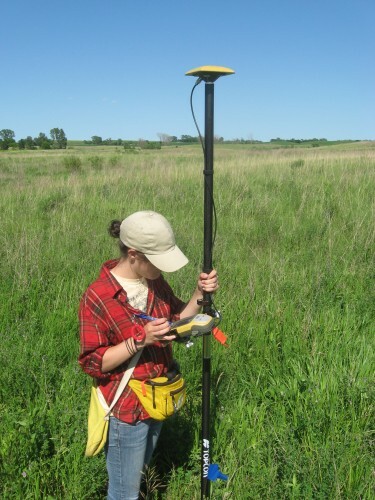 Such research will provide baseline data for further projects on the ant communities of the prairie. Originally from industrialized Sewaren, New Jersey, I fled to Maine for 4 years of fresher air and a college degree. However, my hometown stuck with me; as I began studying botany, entomology, and ecology, my interests fixed on how pollution and contaminants affect ecosystems and their biota.